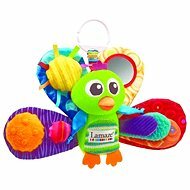 Babies love colourful toys that make sounds and are easy to pick up and put into their mouth. 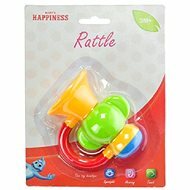 Rattles are generally among the first toys that a baby ever plays with. 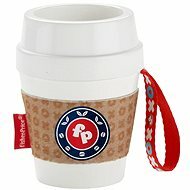 And the more action it provides, the better! 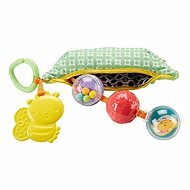 Aside from the entertainment value, a well-chosen baby rattle can help with baby’s development. 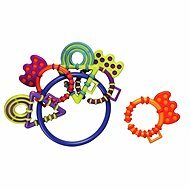 Some rattles are equipped with a teething ring, so the toy helps to relive the pain. 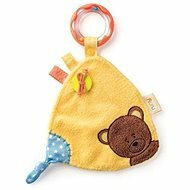 When choosing a rattle, consider the age of your baby, material, design, and whether the rattle is easy to wash.
How to choose a baby rattle? 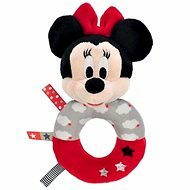 Newborns are very near-sighted and have trouble focusing on objects further than about 25 cm away. 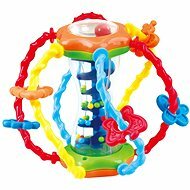 They also like deeper sounds, which they find calming and reassuring. 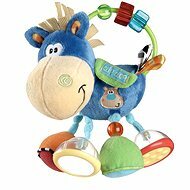 The ability to follow moving objects develops gradually, so choose larger rattles or musical cot mobiles. 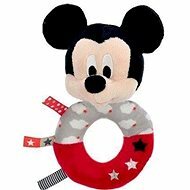 Babies older than 3 months appreciate colourful and loud rattles, teethers, pacifier clips or plush rattles. 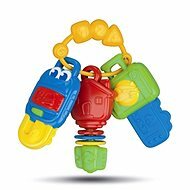 Rattles help babies learn to recognise colours and shapes, so it’s good to have multiple different rattles. 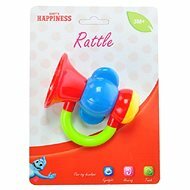 Choose rattles that seem interesting to your baby, but make sure they aren’t too large or heavy. 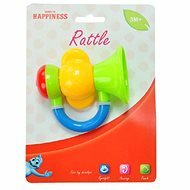 A rattle should fit even a small baby hand and must be impossible to take apart. 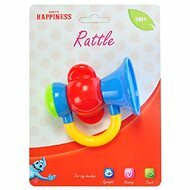 Rattles are generally made of plastic and fabric, sometimes with extra cooling gel for those with teether features. 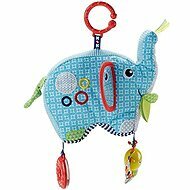 Make sure that the rattle is safe and doesn’t contain BPA, PVC, latex or phthalates. 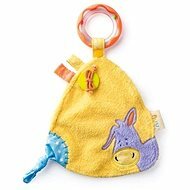 Washability is a very important factor—babies chew on their rattles, so the rattle must be easy to clean. 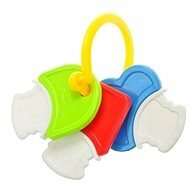 Some models can even be washed in the dishwasher, which makes the whole process considerably easier.